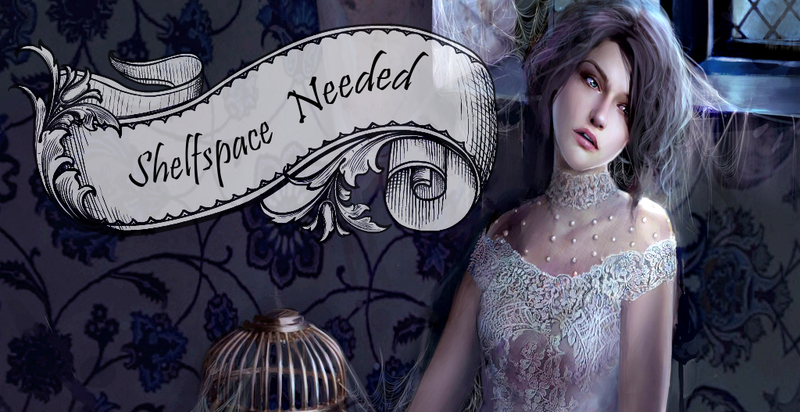 Shelfspace Needed: Summer Giveaway Hop! I am participating in the 2nd Annual Summer Giveaway Hop, hosted by I Am A Reader, Not A Writer and Mary from BookHounds & Forever Young (adult). So here's what I have for one winner: your choice of ONE of the books pictured below. I know that a lot of bloggers offer a 'book of your choice worth up to 10$' or something similar, but I always find that a little boring... so instead I decided to give away one book of a selection of books I really really love but that don't get as much attention as I feel they deserve. Click the images to find the books on goodreads. One entry per person. Multiple entries will be deleted (I will check the IP addresses). The same goes for unveryfiable entries. The giveaway is international provided The Book Depository ships to you. I am not liable for what happens to the book once I've ordered it for you and TBD has shipped it. All books will be shipped in their paperback version. (Or eBook, if you prefer). There will be only ONE winner, who has to choose ONE of the books. If you want another book in the same series, that's okay too. No pre-orders though, sorry. 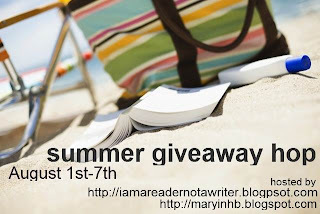 Giveaway runs from August 1 to August 7, 2012. I will email the winner and they have 48 hours to respond. If they fail to, I will draw another winner. I think that's it... thanks for stopping by! Fill out the rafflecopter form to enter, and make sure to check out the other blogs on the hop! You can find the linky-list below. Happy reading! Sweet Evil or the Iron Witch looks great! Thanks for the giveaway! I have already read Sweet Evil such a good book! Would love to read Nevermore! Thanks for the great giveaway! Since I haven't read it yet: The Madness of Angels. Thank you. I would love to read Sweet Evil! Would love to read Sweet Evil. :) Thanks for the giveaway! I would probably choose Sweet evil ! I would love the Demon's Lexicon or Nevermore. Thanks so much for the giveaway! I´d choose Nevermore or Sweer Evil. Thank you for the giveaway. Sweet Evil :) thanks for the giveaway! Nevermore. Thanks for the giveaway! Sweet Evil, I think :) Thank you for the giveaway ! New follower from the blog hop. I'd like Sweet Evil if I win. I like the Iron Witch or the Sweet Evil. I would love either Darkness Becomes Her or Iron Witch. Nevermore (read it in ebook form and loved it) or Darkeness Becomes Her. I would probably choose The Demon's Lexicon if I win. I would pick Sweet Evil. I would like to win Sweet Evil. Sweet Evil by Wendy Higgins. Darkness Becomes Her or Sweet Evil looks interesting! I'd love Sweet Evil or The Iron Witch. Thanks for the great giveaway and for making it international! I've had my eye on Sweet Evil. Thanks for offering! I've been wanting to read Sweet Evil for a while now...thanks for the giveaway! The Demon's Lexicon sounds great. I would pick that one. The Iron Witch or Sweet Evil! I'd choose The Iron Witch! I'd choose Sweet evil. Thanks for the giveaway! I'd love to win Nevermore. Nevermore, but Demon's Lexicon looks great, too. I would enjoy them all, but The Iron Witch is the book I would choose. Thanks for the giveaway! I hadn't heard of "Evermore" before reading about it in your post and it sounds amazing! I'd love to read either that or "Sweet Evil." Sweet Evil, I remember likely the blurb. Oooo...I want the Demon's Lexicon! I'd most likely choose Sweet Evil. Thanks for the giveaway! I really want to read Nevermore. Thanks for the giveaway! Darkness Becomes Her! Either Darkness Becomes Her or Sweet Evil both look so good! I have had my eye on Sweet Evil for awhile. I'd love to read The Demon's Lexicon! Thank u for this awesome giveaway and making it international. I would love to win Nevermore. Sweet Evil! I heard a lot from that book--and look, gorgeous cover! Sweet Evil. I really love this book. I like Sweet Evil. Thanks! These all look great, but I'd have to go with Demon's Lexicon! *Sigh* I'm going to have to pick between Nevermore and Sweet Evil. I would pick Sweet Evil! =) THANK YOU! Nevermore, no question about it. 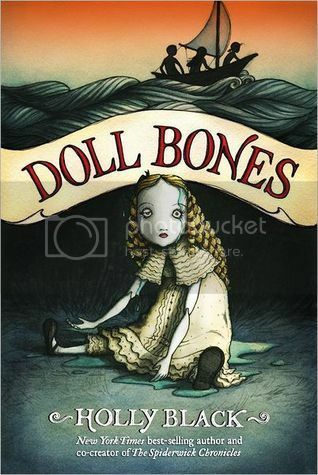 I happened across it at the library one day, brought it home with me and was completely swept away by this amazing story. The fact that I have major love for E.A.P may have a little to do with it as well! Thanks for the chance to win! i would The Madness of Angels.. Either Sweet Evil of the Iron Witch. Thanks for the giveaway! Great choice of books to win. I've read Nevermore and have it and love it! (Also got to read the ARC of Enshadowed! ) I think I'd pick Sweet Evil. I would probably choose Nevermore or Sweet Evil!! Thanks for the great giveaway! I'd pick Sweet Evil. :) Thank you for the giveaway! New follower! I really want to know more about Darkness Becomes Her and the Iron Witch, will definitely be looking those up. Thank you for your generous participation in this fun hop. I would pick Sweet Evil sounds so good! Thank you for the great giveaway! I would choose A Madness of Angels.